Argos Engineering was established to provide litigation consulting and structural engineering services. With more than 35 years of aerospace and industrial engineering experience, our company is uniquely positioned to provide failure analysis, accident investigation and reconstruction, numerical modeling, and product development services to diverse industries. We provide services for cases involving fasteners, latches, aircraft rapid decompression and wind damage. We make use of state-of-the-art analysis tools and computer software to provide definitive results and undisputable conclusions. Argos Engineering provides litigation consulting in the areas of products liability and patent infringement. Argos' principal, Dr. John D. Pratt, has extensive experience with fasteners, latches and mechanisms, including manufacturing processes, standardization and performance. Dr. Pratt has also developed sophisticated analytical tools to analyze the influence of explosive decompression on aircraft interiors and structures. Wind Load Analysis, Aircraft Decompression, Kinematic Analysis, Latching Mechanisms, Wind Damage, Fasteners. Argos Engineering provides new product development consulting for the Aerospace Fastener and Aircraft Interiors industries, as well as litigation consulting in the areas of mechanisms, latches and fasteners. Argos' principal, Dr. John D. Pratt, has extensive experience with fasteners, latches and mechanisms, including manufacturing processes, standardization and performance. Dr. Pratt has also developed sophisticated analytical tools to analyze the influence of explosive decompression on aircraft interiors and structures. As an aerospace industry executive in 2005, Dr. Pratt co-invented and led the development of the post-9/11 secure (terrorist-proof) cockpit door decompression latches now installed on half the world's fleet of commercial transport aircraft. Before entering private practice in 2005, Dr. Pratt co-invented and led the development of the post-9/11 secure (terrorist-proof) cockpit door decompression latches now installed on half the world's fleet of aircraft. Previously Dr. Pratt invented and commercialized the first viable blind fastening system for laminated composites. After 24 years, that system (Monogram Aerospace Fasteners' Composi-Lok©) remains the one of the most-used structural blind fasteners for composite airframe assembly and is the benchmark against which other fasteners are measured. Dr. Pratt continues to work with Airbus, Lockheed, and Boeing on the development of improved fastening systems that address the challenges of robotic assembly, aesthetic appearance, and lightweight assembly. Argos Engineering's recent litigation consulting projects have included aircraft engine cylinder head bolt failure analysis, aircraft hanger wind-induced anchorage loss, motor home retractable bunk mechanism failure analysis, wind-induced structural damage, glass rack safety analysis, and storm drain cover patent infringement. Dr. Patt´s court experience includes testimony in several patent infringement and products liability suits, as well as extended testimony before the Federal Trade Commission. 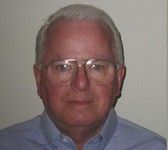 Dr. Pratt has chaired several national and international committees on fastener standardization and testing, and advanced the state-of-the-art in fastening and latching technology several times during his career.